When IPS meets 4K, the result is even more amazing than they are on their own. The 27MU58-B's Ultra HD IPS Display offers much better color reproduction compared to TN panels, providing incredible viewing angles and great color consistency over the entire screen. With a 4K IPS monitor, designers can enjoy seamless viewing for an ultimate immersive gaming experience. 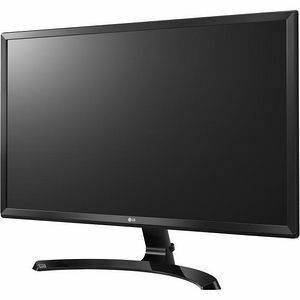 Furthermore, the 27MU58-B in 3840x2160 Ultra HD resolution provides increased clarity, sharper texture, more details, , and a large amount of on-screen "real estate" for viewing multiple applications at one time. The 27MU58-B features built-in FreeSync Technology. FreeSync technology by AMD eliminates the tearing that can occur in videos, games and applications with the highest visual settings, caused by the difference between a graphic card's frame rate and a monitor's refresh rate. FreeSync eliminates tearing and stuttering that can occur because of differences between a graphic card's frame rate and a monitor's refresh rate. Screen Split divides the display into multiple sections for different tasks by resizing the windows on the screen. Its advanced options have expanded to include 4 types of Picture-in Picture(PIP) Mode among 14 options. With PIP Mode you can work on the main screen while watching a video in a smaller window floating on the screen.